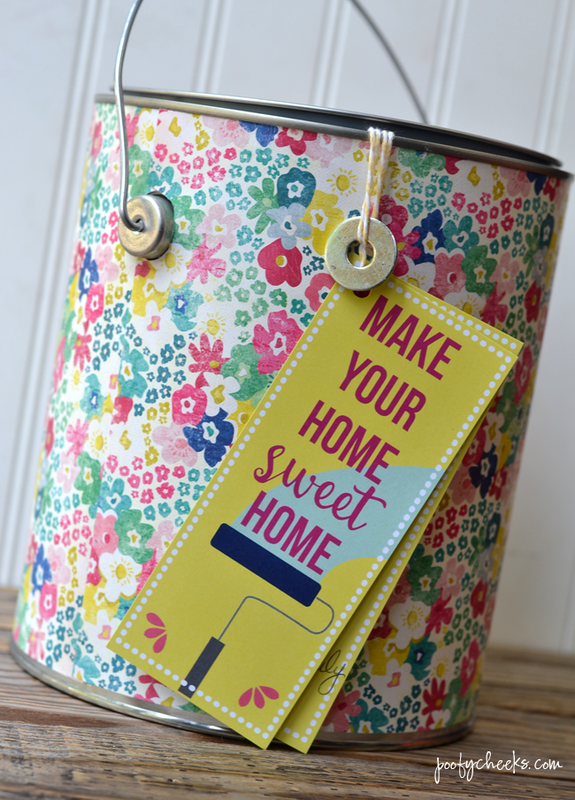 Paint can housewarming gift filled with painting supplies and a printable tag. 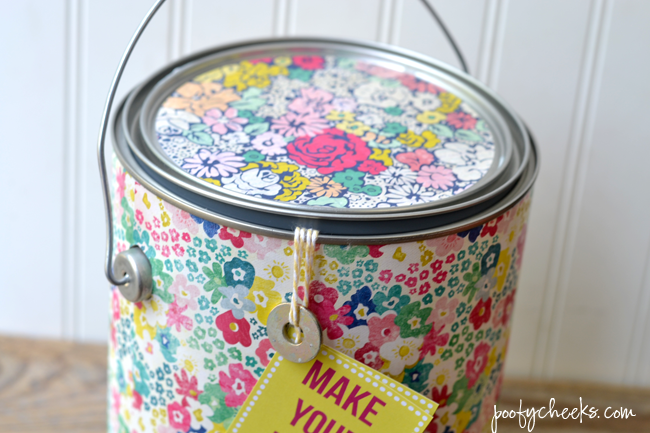 A couple of weeks ago I shared how to make a pretty paint can using paper and Mod Podge. 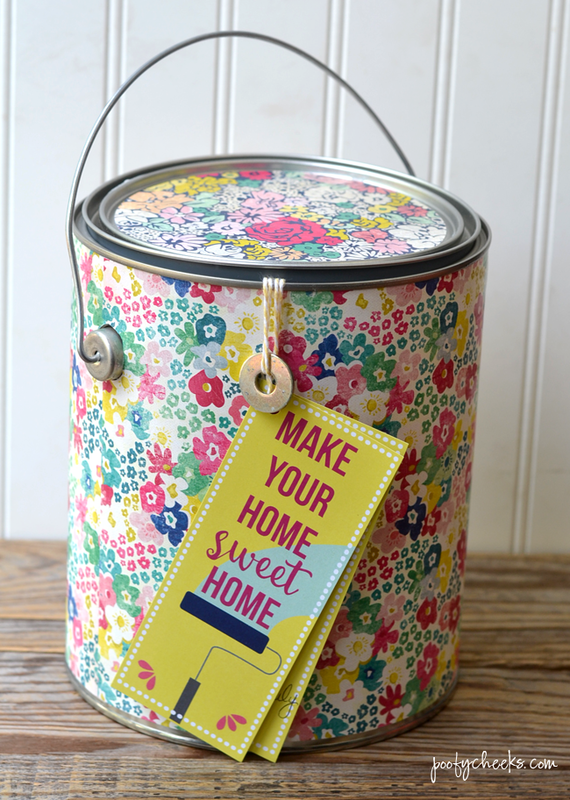 Today I am showing you how I used the can as part of a housewarming gift filled with painting supplies and complete with a printable tag. One of my best friends moved into a brand new house they built this past week and before they started moving their belongings we helped them paint. 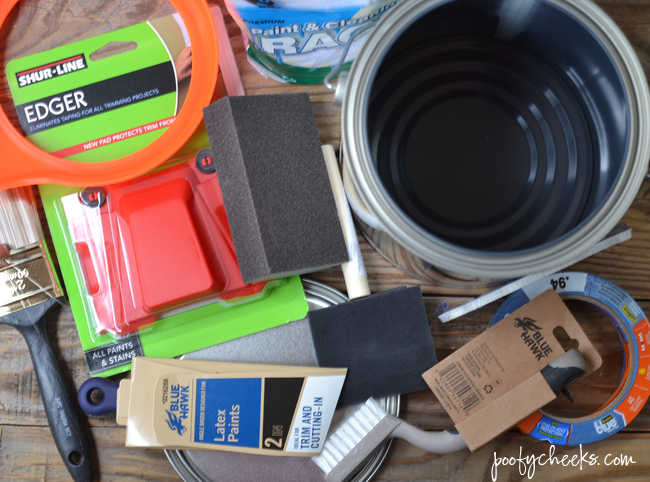 I knew that Kimberly planned to paint their house before moving so I wanted to gift her a bunch of painting supplies so it would be one less thing she would have to worry about. 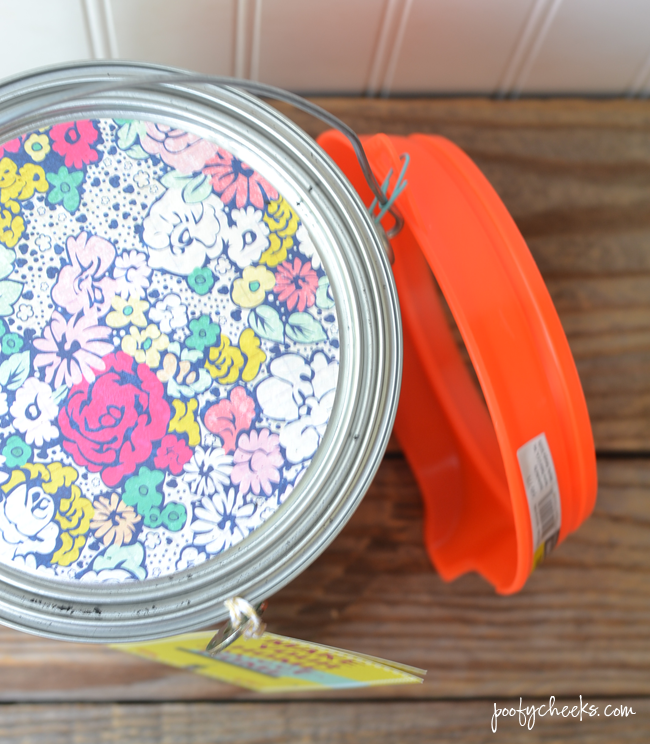 I took the paint can I made and filled it with my favorite supplies. I stuffed all the goodies inside and then closed up the lid. 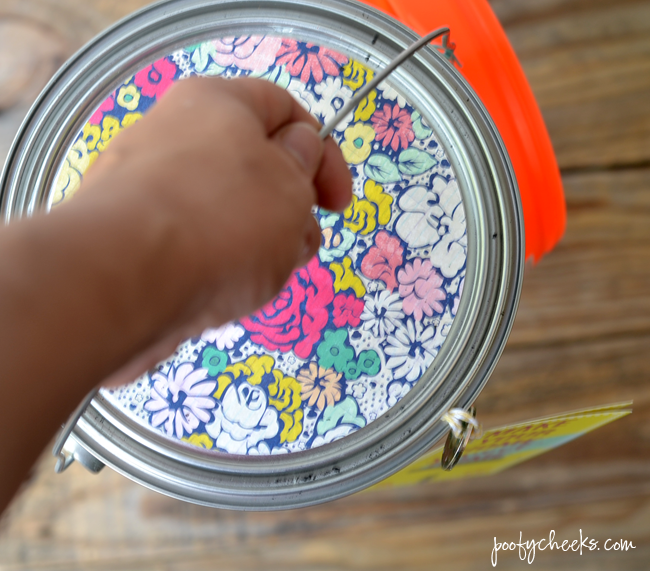 I tied the printable tag I made along with a washer (the washer opens paint lids) to the handle and gave it to her when we met for breakfast the first week of school. 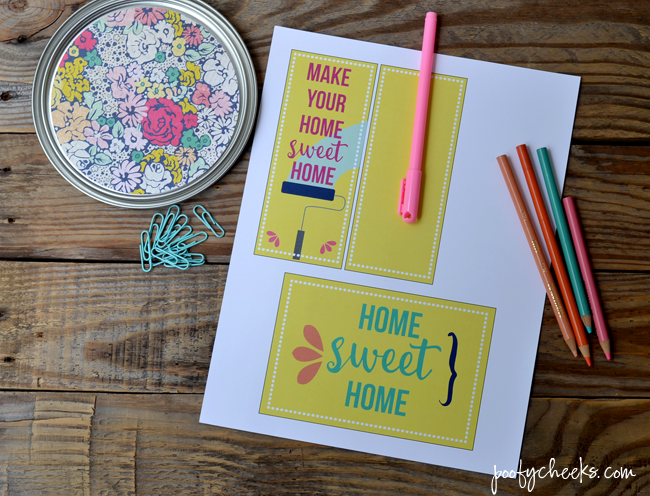 We were celebrating our boys going back to school! I guess I should have bought them some disinfectant and towels to clean up the mess my son would make in their new house! I’ll have to remember it for next time! One day we will laugh about it… the same way we now laugh about the time her son took off his poppy diaper on my couch.